Members of higher education community are trained to engage in an argumentative conversation. They are educated to poses the skills in defending knowledge they believe. In that process, they will provide some evidences of why certain knowledge is more convincing than the others. And when their argument is found weak by other academics, they would conduct more research (library, field, or laboratory research, or engaged in academic conversations) and then provide different evidences. In that process, they might find new evidences that would validate their “opponent’s” belief as stronger. The key is that knowledge production IS their job. Academics would apply all kinds of research methodologies in finding the answer of their inquiries. Their reciprocity is in the context of how to engage in productive conversation, and the social relations are constructed to support that knowledge production. On the other hand, community members’s job is simply to live. In their lives, they would find ways to fulfill their needs by acting on them. In that process, they would also support their partners’ lives, or families with or without children. They would also support their co-workers because otherwise their lives would be at risk when they do not perform well at work. When they disagree, they would still focus on delivering the tasks because otherwise, their could risk losing their jobs. Their reciprocity is constructed around the social relations of people’s lives. They would not bother about generating knowledge to address the differing opinions; it IS NOT their job. What many participants in community-academic partnerships, or community-university partnerships, may not realize is that we are in the business of deconstructing a new model of reciprocity that does not belong to either one. 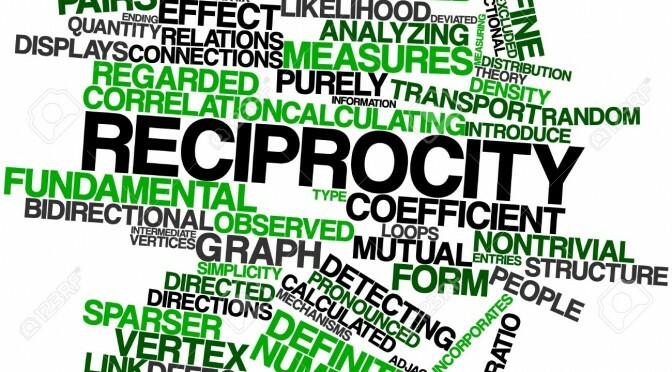 Research shows how following academic’s version of reciprocity does not give strong community impacts, where community are forced and being used to support knowledge production. 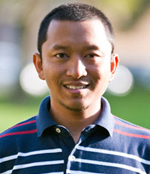 On the other hand, though it is presented at a much less amount of research, existing research also shows that following community leadership alone and ignore the skills that academics poses in knowledge production would challenge community in differentiating which actions are more effective from the ones than are ineffective. How would I respond in my own community-university partnerships? Well basically, even if we are deconstructing a new model of reciprocity, I would rather not focus much about it. Reciprocity, from the word, implies a 50-50 distribution of power, which is just impossible to asses. How would you know if you are engaged in a reciprocal relationship. Rather, I would focus on “how to support the capacity of our community” to not only deliver the goals identified by the community, but also build their capacity so that the partnership would help them to be more resilience. For anything that I do, I will follow the terms that defined by my community partner. … I would focus on “how to support the capacity of our community” to not only deliver the goals identified by the community, but also build their capacity so that the partnership would help them to be more resilience. Consequently, this can be viewed as “unfair” when academics’ interests aren’t “equally” served. And it is very true, this could be a source of all kinds of tensions if we aren’t careful. We could really not equally value academic’s interests and community’s interests in community-academic partnerships. One has to be more important than the other. Are we focus on generating new knowledge as what academics are more interested? Are we debating which knowledge shows stronger evidences than the others? Or are we acting on some real issues that otherwise, if un-addressed, will continue to risk many people’s lives by using academic’s knowledge. With not even a single doubt, I will choose the latter, I realize some of you may disagree. My goal is to apply my knowledge generated in my academic life to support people’s lives. In that process, the way I assess whether or not my path is going to the right direction, I would really pay a closer attention on my community partners’ level of comfort when collaborating in the project than worrying about how my knowledge would matter. Good partnerships could still fail in delivering project goals, but the partners become good friends. Bad partnerships would not only ensure project failure but also no friends. Good partnerships could still fail in delivering project goals, but the partners become good friends. Bad partnerships would not only ensure project failure but also no friends. Another possible way to address this tension is it is injustice to ignore some knowledge generated by someone (academic or professionals) who has the experience and expertise. My respond to that, since my work is very much about oppression and inequality and the struggles for social change that come from them, whose’s injustice are we focusing? Is it academic’s or community’s injustice? Can we address both? If done correctly, focusing on one injustice is a lot of work. Focusing on two injustices are just practicaly impossible. When community-academic partnerships try to create social change, the change starts from within that team. When the partners are unable to address their differences in deconstructing the meaning of reciprocity, than nothing would come out from the partnership.